Depends on the yarn/hook size that you use, but mine ended up being about 4cm tall and 8cm wide. Keep the gauge as tight as you can so that the stuffing doesn’t show through. 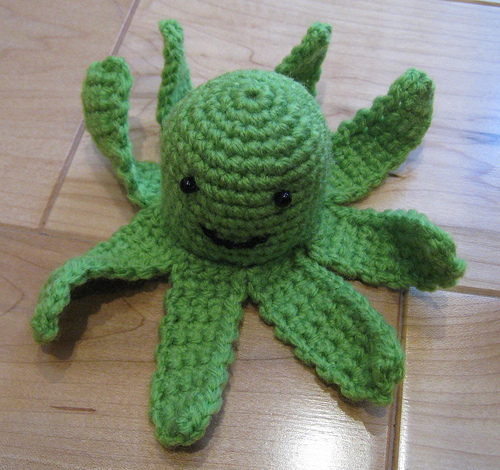 This is another amigurumi style toy – hence it is all worked in one continuous spiral. sl st down the side of the tentacle and work another 7 tentacles in the same way. 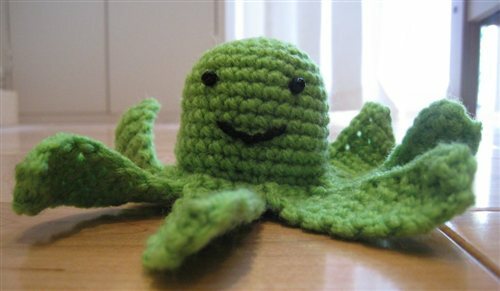 Add small beads for eyes and using that short length of black yarn sew your octopus a happy smile.